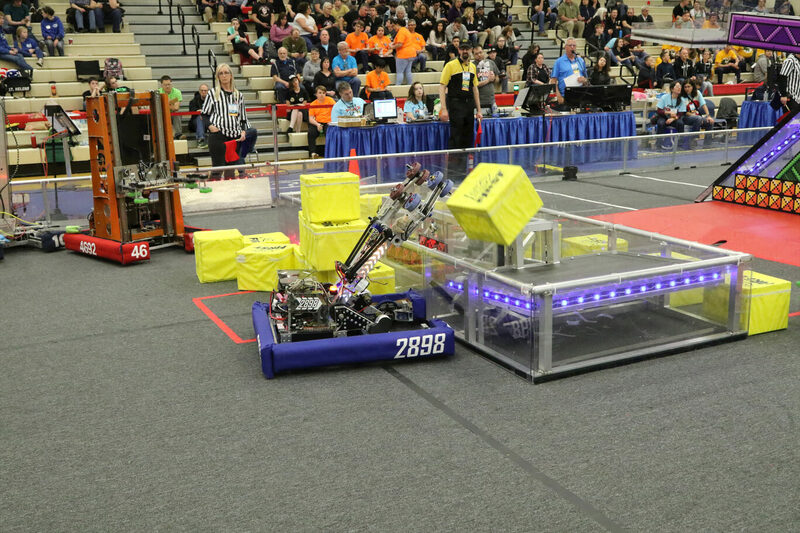 FIRST Power Up was the FIRST Competition Game for the 2018 season. In Power Up - a retro, arcade themed game - two alliances of three robots would compete by placing milk crates, or “power cubes,” on large balancing scales. Teams scored points for tipping these scales to gain ownership. Alliances could also trade power cubes for “power-ups” to gain temporary advantages during matches. At the end of each match, robots would have to opportunity to climb the tower at the center of the scale to gain extra points. Check out our Technical Binder for more information!